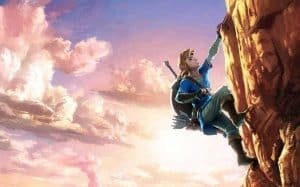 Nintendo Switch Launch Titles Won't Include Zelda | Nerd Much? The Nintendo Switch launch titles are still a mystery at this point, but a new rumor suggestions one title will definitely be absent. Sorry Zelda fans. A few of Eurogamer’s sources close to Nintendo have suggested that The Legend of Zelda: Breath of the Wild will not be launching alongside the Nintendo Switch in March 2017. Apparently, localization itself may not even be done until this coming December. Add “four to six months” of testing, and you’re looking at an April release if everything goes perfectly. Even though this is bad news to many, Nintendo is adamant about releasing Breath of the Wild in as flawless a state as possible. Additionally, Nintendo never actually said the Nintendo Switch launch titles would include Zelda. In April, they announced that the upcoming console would release in March. The game was only given a 2017 release window. All is not lost. If Zelda isn’t ready as a launch title, the same sources suggest that the new Mario game may be able to fill its space. All of these tidbits are still rumors though, so don’t read into it too much. What would you like the Nintendo Switch launch titles to be? Maybe we’ll finally see the return of Samas Aran? We can dream.